I didn’t want to plan too many formal activities as I believe toddlers should play to have fun. The main activity was finger painting a toyland train that I made. 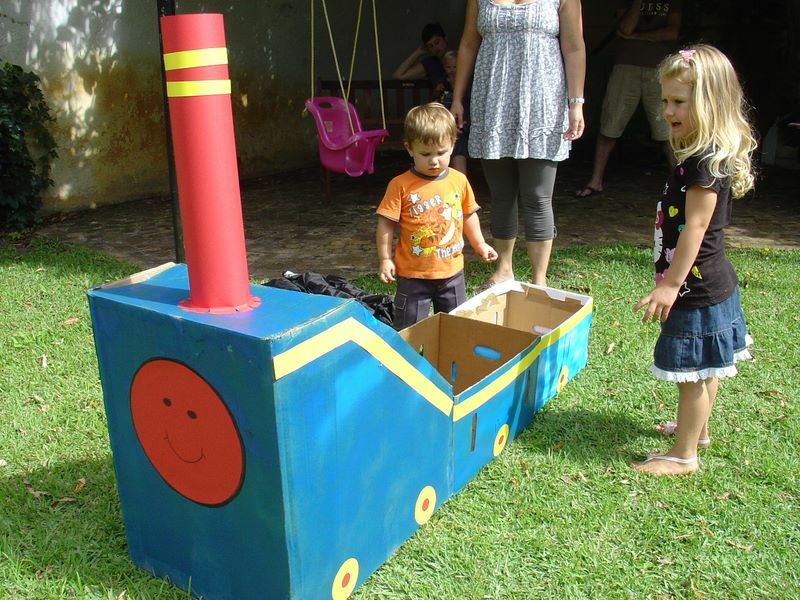 Making the train took about an afternoon’s work, cutting moving boxes, spray painting and decorating with coloured card. Probably costing about R80 in total to make and buy the paints. 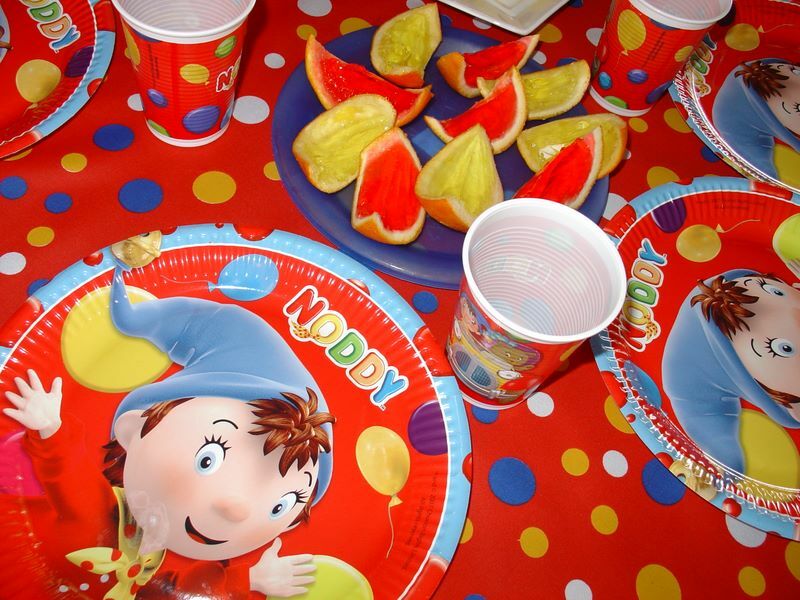 I bought a plastic cup for each child, either red, blue or yellow, and printed and stuck on to it one of the Noddy characters and covered it with self-adhesive book covering plastic so that it would be waterproof. The plastic cups were only R2 from Plastics from Africa. I then filled some plastic tubs with water so the kids could splash and play and fill and empty the cups with water. Each child got to take a cup home with them. For the kiddies, I cut up some fruit that were coloured according to the theme: Red=strawberries, Blue=blueberries, Yellow=pineapple, Green=grapes, and also put some marshmallows and chips on their table. My mom also made some red and yellow jelly boats for the tots to enjoy! 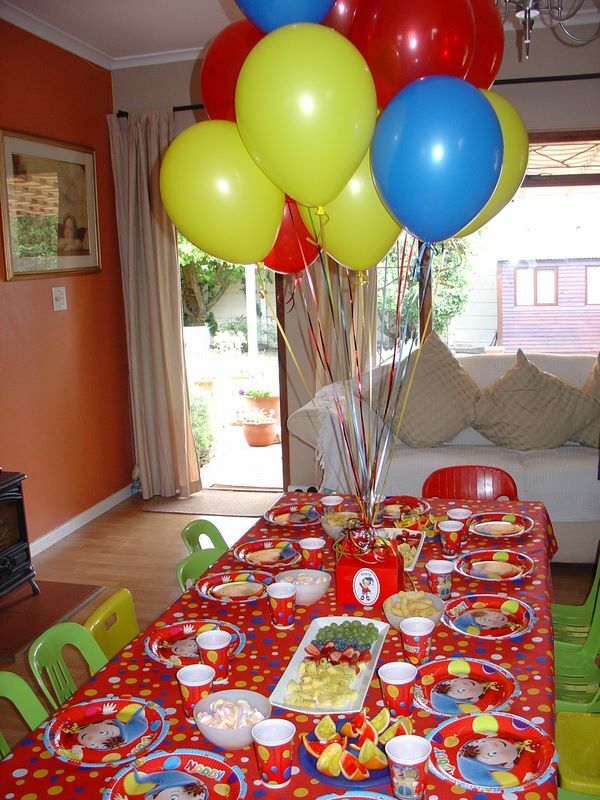 For the adults, I ordered some party platters from Pick “n Pay as well as organised cheese and biscuits. Also available for all guests were cupcakes that I made with yellow, blue and red icing, and some sweets and chocs and Easter eggs! Our preferred cake supplier, Nikki, made a masterpiece of a cake exactly like we had designed in our minds! Inside it was a delicious carrot cake. 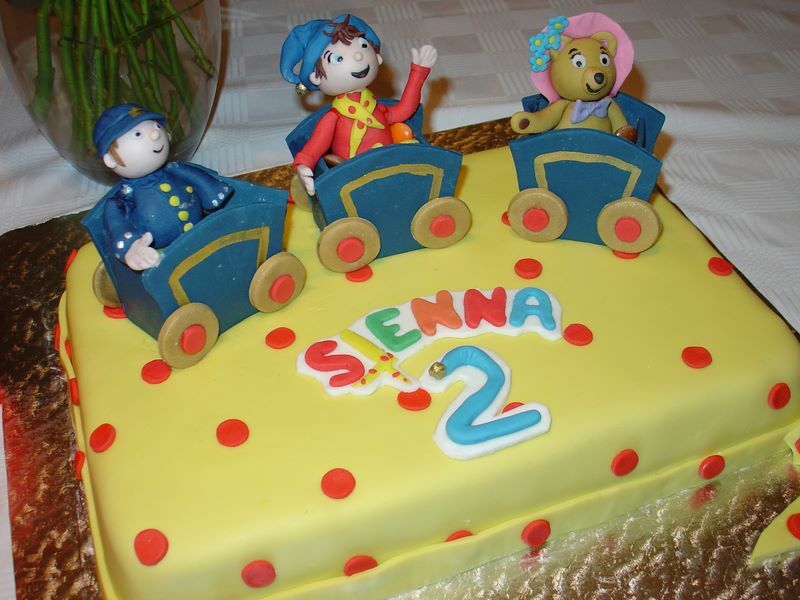 It was a square cake decorated with polka dots like Noddy’s scarf and sitting on top in toyland train carriages filled with smarties was Noddy, Tessie Bear and Mr Plod. A cake of this type costs anything from R375 up. 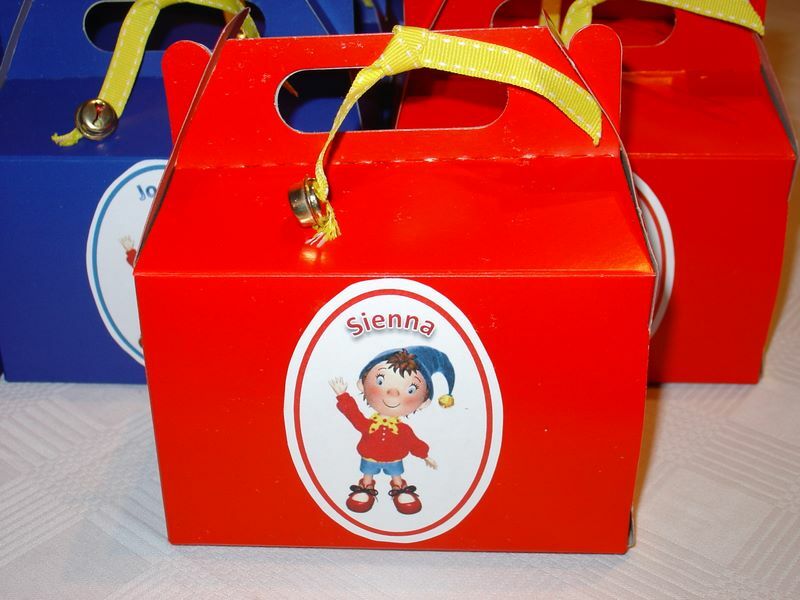 Where did you find the Noddy party supplies? I can’t find them anywhere. Hi Audrey – are you in Cape Town or elsewhere in South Africa? I have stock so could post to you?